The $11M closing price equates to approximately $679 per square foot, the 2nd highest price ever recorded for a Staples sale and the 3rd highest price per square-foot for a Staples. LOS ANGELES, CA – Matthews Real Estate Investment Services™, the nation’s fastest growing real estate investment services firm, is pleased to announce the sale of a 16,200 square-foot Staples retail condo in the New York City borough of The Bronx. The $11M closing price equates to approximately $679 per square foot, the 2nd highest price ever recorded for a Staples sale and the 3rd highest price per square-foot for a Staples. The transaction was led by Investment Sales Associate, Rahul Chhajed and SVP & Senior Director, Aron Cline who negotiated on behalf of the seller for a six-month escrow period to assist in a 1031 exchange timeframe. The buyer was sourced from Matthews™ database but incorporated their own broker in the sale. The complex algorithm of Matthews™ marketing campaign allowed the seller maximum exposure to sell the last piece of this building and identify the most probable buyer for this specific sale. 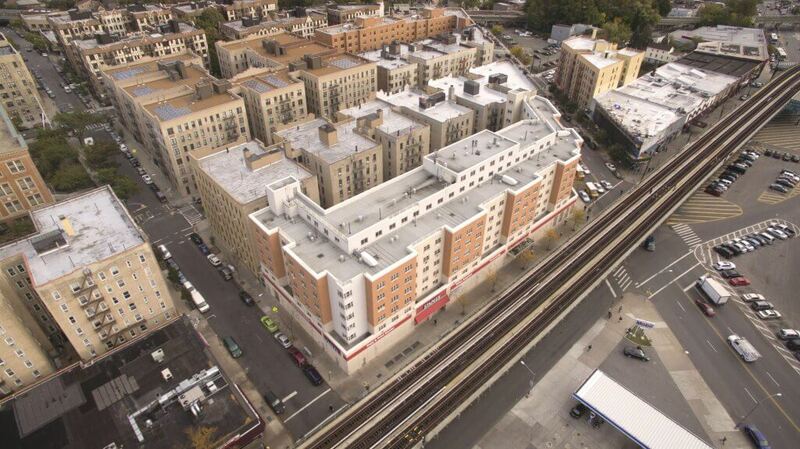 Situated at 2040 White Plains Rd, the Staples retail condo is located on one of the busiest streets in The Bronx. The well-located retail space experiences heavy foot traffic from a dense population of over two million people within a five-mile radius and direct access to consumers living in 100+ multifamily units above. The buyer realized future value from the transaction due to the sizable retail space, in-line demographics in the immediate area, and an ideal GLA. Given the risky outlook of office-supply tenants, Rahul and Aron were able to deliver a strong price and exchange out an office-supply tenant who was susceptible to the effects of e-commerce. The Staples retail condo satisfied the buyer’s unique business model and provided real-time execution of an exchange property for the seller.